Jean Richard has just unveiled a new diver’s watch, the Aquascope. 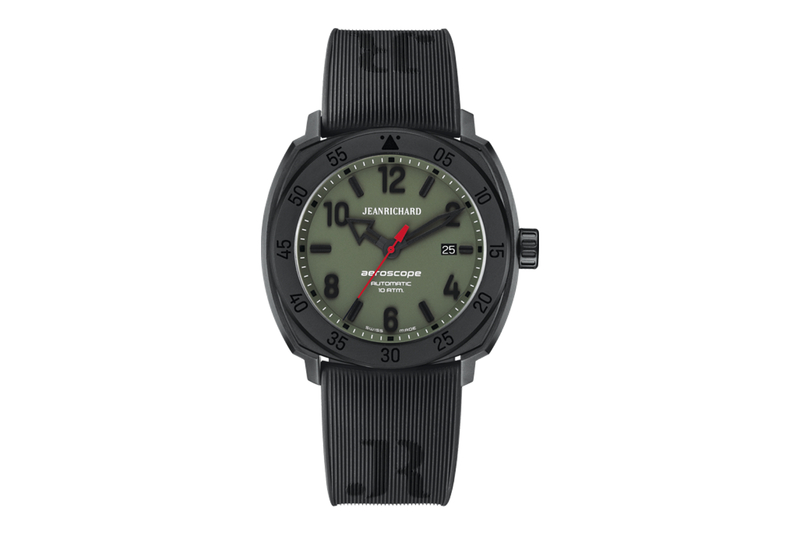 Like all of the timepieces made by Jean Richard, this watch is powered by the JR1000 (an in-house movement). 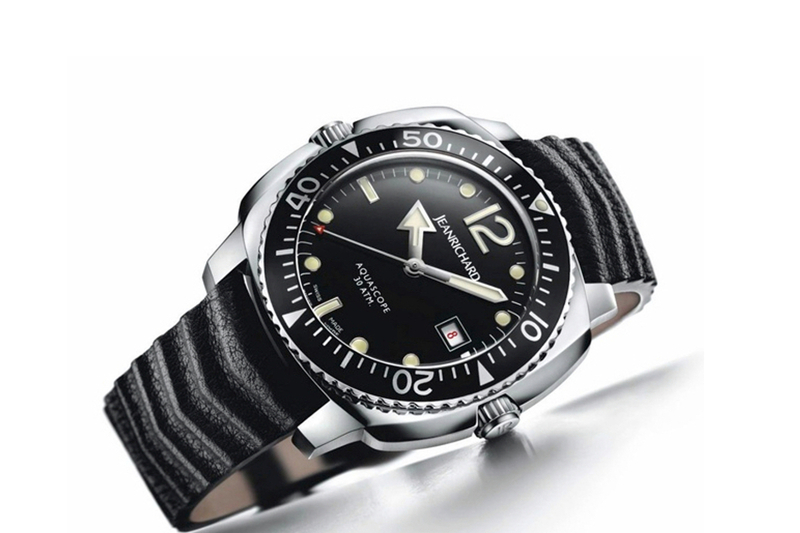 This model was created to pay homage to the unique dive watches that were created by Jean Richard in the 1960s. 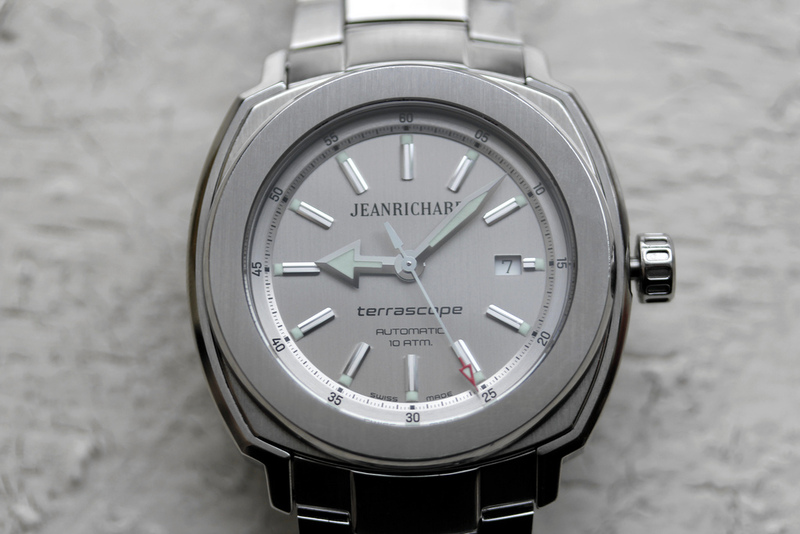 The Aquascope stainless steel case is polished and satin-finished. The case features the brand’s signature tonneau shape and is (44.50 x 40 x 11.85mm). The crystal is convex with a colorless anti-reflective treatment. To calculate dive time, the external bezel features a 60-minute scale, with 120 teeth (for half-minute settings). The bezel is bi-directional, whereas most dive watches feature unidirectional bezels, this is because the bezel cannot be accidentally adjusted without first unscrewing the crown at 9 o’clock. Water-resistance is 300 meters.